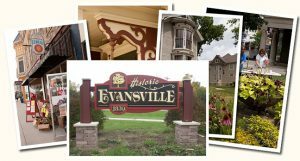 The Evansville Chamber of Commerce & Tourism has served the local business community for over 50 years. We are the largest business organization in the community, and your first call for business opportunities in our area. We have an ongoing commitment to be an advocate for our members and the business community at large on the local, county, and state levels; to promote as well as facilitate economic development initiatives undertaken in our area; and to support local tourism projects and programs. The mission of the Chamber of Commerce is to provide support to local commerce and industry and to assist the growth, development and recruitment of business enterprises. At the Chamber of Commerce, we work very hard to help out members achieve all their business goals each year and we measure our success by our members’ success. We provide local programs and events that not only support our members as business owners, but also benefit the Evansville community as a whole. Memberships make these programs and events possible, and without them we cannot accomplish our shared mission of a thriving, profitable business community. Check out the 2017 Year End Report for a summary of last year’s activities. Our family-friendly city of just over 5,000 residents is a great place to live, work and conduct business. 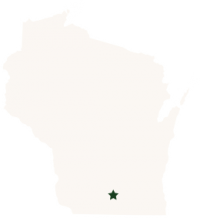 We are located close to the larger metropolitan areas of Madison and Janesville, yet we have retained a quaint, historic atmosphere, as well as our small-town values. Residents gather year-round for festivals, concerts, and events; all while enjoying an exceptional quality of life that balances hard work with adventurous, outdoor play in our many area parks! See for yourself what makes Evansville a “Discover Wisconsin” Choice Destination. We are here to serve you! 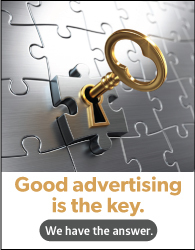 Contact the Chamber today.